With 842 km ² the fifth largest island Greece (Khios, Xios) in the eastern Aegean, which is upstream of the coast of Anatolia. She has been inhabited for over 5,000 years. Around 700 BC Chios became a naval power and center of culture and commerce. In this heyday, the inhabitants were among the richest in the Aegean Sea. 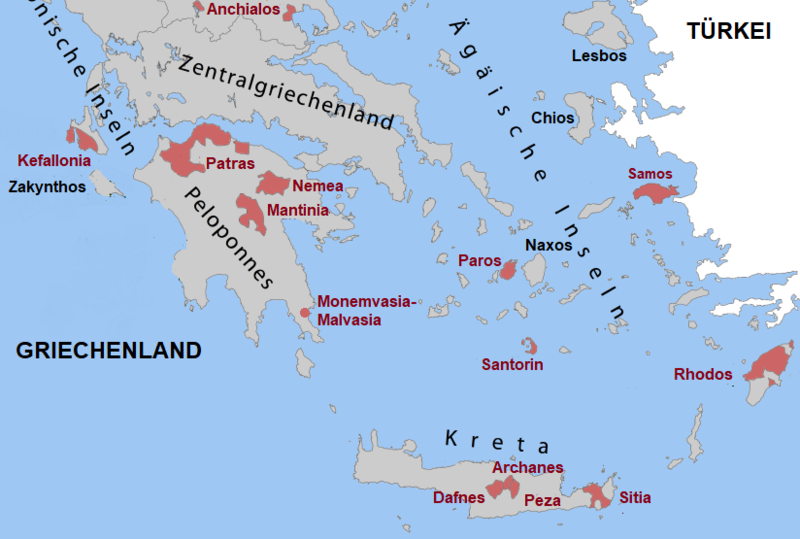 In the antiquity the island was considered the " Bordeaux Greek wines ". According to Greek mythology, King Oinopion (the "wine maker"), the son of the wine god, founded it there Dionysos and Ariadne, viticulture. Here died the famous poet Homer (8th century BC). Today, in addition to olive oil and wine, Chios is known above all for the production of mastic (tree resin). There is viticulture, but none POP classified area. This page was last modified at 14 February 2018 at 13:53.